The Royal Rangers, a boy scout organization that’s more faith oriented and based out of a church in Riverside, California, had once again asked me to be part of their annual summer camp out. They were the same group that came out with me on the second night of the 2016 Perseid Meteor shower, and were so impressed that they wanted to do it again. Only this time, the 2017 Perseids were going to be severely affected by the moon during peak hours, so it was not a good time to see the shower. However, that didn’t stop us from going out on a regular, moonless night on July 21, as the dark sky over Joshua Tree would still give us plenty of things to view. While July nights out in Cottonwood Campground are plagued with moisture and potential clouds blocking our view of the sky due to Summer Monsoons, this particular night was super clear and dry! Our view of the Milky Way was among the best I had ever seen, with a clear bulge in the south towards Sagittarius. Our view was unobstructed by other campers, and we were never affected by their lights. 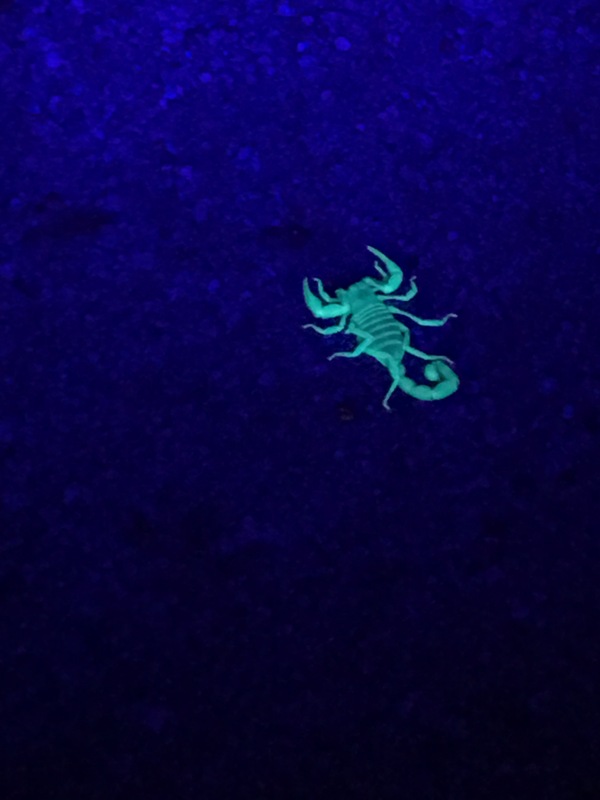 Once more, the six kids who came out were obsessed with finding scorpions. 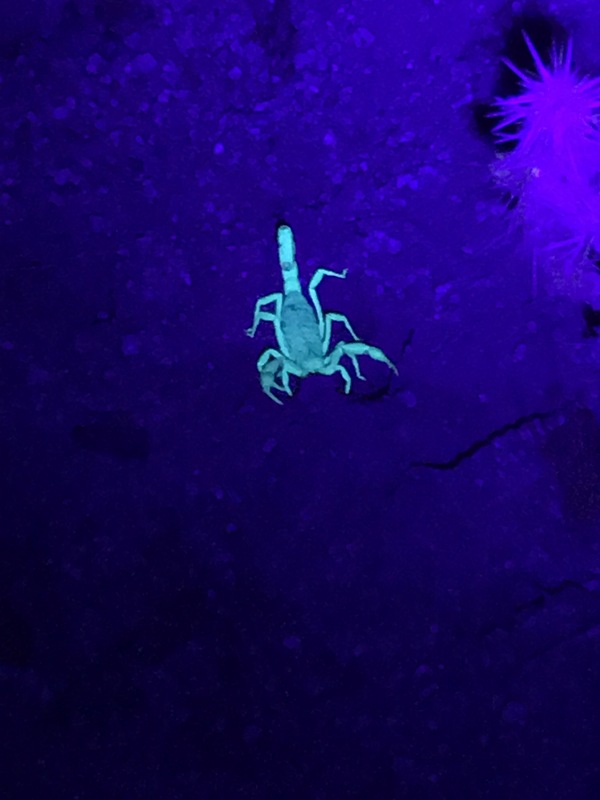 While scorpions normally don’t like to be near the campsites, we picked a spot on the edge of the area that had more open land; and sure enough, thanks to the UV lights one of the scoutmasters brought, they were easily able to be seen from a distance thanks to their special enzyme that causes them to glow under UV lights. Some of them were pretty big, but the scoutmaster, whose profession was pest control, assured us that the particular species we were seeing had a sting similar to that of a bee, and they didn’t pose a serious threat as long as we didn’t mess with them. But as you can see in the video, with all the kids trying to see them, one of them freaked out when he knew the “paparazzi” of humans were trying to look at it. They usually went back into their holes to hide from us. When we were able to get everyone to settle down, everyone was treated to the sight of a beautiful dark sky. For a couple kids, this was their first time they had ever seen a sky that wasn’t blocked by city lights. When it was my time to present, the kids and adults enjoyed listening to me talk about the sky, show them the constellations, and give them a good idea how massive the universe actually is. At first the questions were simple, but then we started getting into the theological side of Astronomy, which of course between myself and a good friend whom is also into Cosmology and has good knowledge of the Bible, we were able to answer the questions along with reaffirm the faith of everyone out in the site, myself included. Eventually, I will post writings on this site about the faith side of Astronomy and share my personal beliefs. This would also be the first night I got to use my new Orion Sky View Pro 8 Inch Telescope in deep sky. It DEFINITELY performed well, and many dim objects were much easier to see. My views of Jupiter and Saturn were impressive, and the clear skies allowed more color to be seen on the planets. Everyone who viewed the two planets had the same reaction, “it looks fake!” as in it looked so similar to the pictures that it looked fake. That’s usually a compliment! The deep sky objects we first looked at were mainly centered around Sagittarius and Scorpius. M7 (Ptolemy Cluster), M8 (Lagoon Nebula), and the Scorpius Jewel Box were impressive through the telescope and got great responses from everyone who looked at them.  I also showed them Albiero, the double star. when I went north towards Ursa Major to look for M81 and M82 (Bode’s Galaxy and Cigar Galaxy), two galaxies close together, they also looked a bit more detailed but still looked like faint smudges. I could, however, tell that the Cigar Galaxy was shaped like its namesake, and Bode’s Galaxy looked round. But I do think it’s position low in the northern sky made it dimmer than it should have looked. For that reason, I waited for Andromeda to rise higher, and for the faint smudge of the galaxy itself to be easier to see with the naked eye before I tried pointing my telescope at it. But when I finally pointed at the Andromeda Galaxy, it far exceeded my expectations. 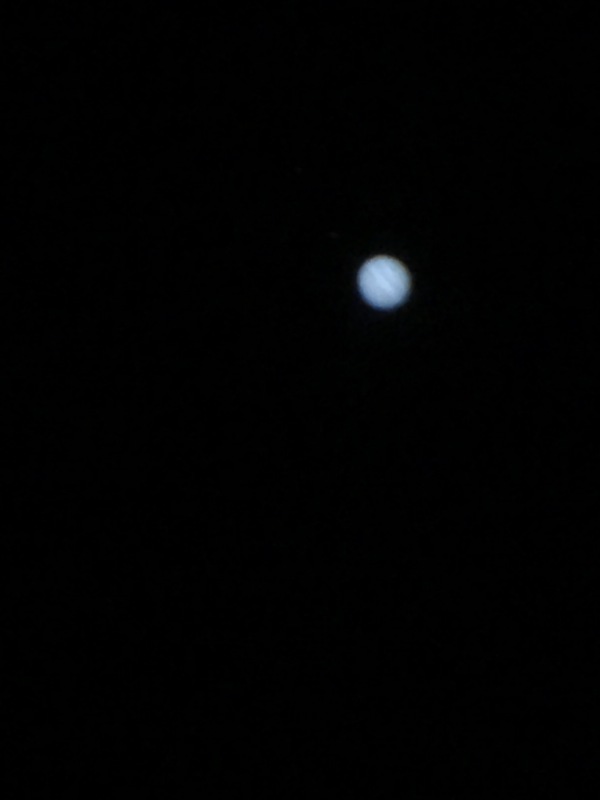 Usually, in my old 4.5 inch Celestron, it was simply a big faint smudge. But in my 8 inch scope, I could see the center get brighter, and more detail around it. We were also able to spot one of its neighboring dwarf galaxies next to it. Sure, the galaxy didn’t look anywhere near the typical astrophotography pictures, but it was impressive enough to make me never want to take my eyes off of it. Like I usually do, I stayed up all night. The Autumn constellations were just starting to rise when the sun came up. We also saw ISS fade into view and go across the sky shortly before sunrise, and it served as a little encore for the end of the night. In all, a superb experience! The Royal Rangers now want to make this a yearly thing, and also want to join me for the Geminid Meteor Shower in December! Why are there no pictures of the deep sky objects? NightCap Pro wigged out on me for some reason, so I was only able to take pictures of the brighter objects. I also was not precisely aligned with Polaris to be able to perfectly track the objects for long exposure photography. While I was close, I knew from experience it wasn’t going to be enough, and they would blur. I still need to invest in a polar aligned add on for my telescope, and then I’ll try taking pictures of the Deep Sky. Anthony, what an outstanding report. My Rangers are still talking about the time they had, the things they saw and the Bible study they heard. You and Paul were amazing with the boys. Myself and my other commanders were equally amazed at the details seen through your new “‘scope”. We are looking forward to December’s outing as well as next summer. Thank you from all of us at outpost 403 Royal Rangers.